When we bought our house, we loved that it had so many tall trees… we have now learned that along with the tall trees comes LEAVES, LEAVES, and MORE LEAVES! Thus, we have one more home ownership chore! However, it’s a chore that I don’t mind. There is something so therapeutic about raking leaves and they are so pretty! Today, Emma was ‘helping’ rake the leaves with a broom while talking on the phone (walky-talky) and carrying her purse. Talk about multi-tasking! I’ll start this post with a picture of Emma (as a teaser) but then I must begin with a funny story. For those of you who don’t know, I LOVE photography. I am so jealous of people who have the natural talent to take beautiful photographs. One of my goals as a mommy is to capture everyday “moments” of Emma. I often go back and look at pictures from my childhood and they bring back so many wonderful memories. I want my kids to be able to do the same. So I got the camera, got a spot in the class, and I loved every minute of it. It was 8 hours of hands-on photography with other moms. We even got to practice on real life kids and babies! Then I came home from the class and said, “Robin, thanks for the class and the camera, but I also realized today that I need a new house with more windows for natural light.” That’s where he drew the line and I don’t blame him. I’ll just have to find creative ways to use the lighting in my house. :) Honestly, I love my house and was really only kidding. SO, all of that to say… I have been very anxious since taking the class to take some pictures of Emma before Foster arrives, practicing the skills that I learned. The Fall color here has been amazing for the past couple of weeks so I decided to venture to Woodward Park to take some pictures of Emma with the beautiful leaves. 1. Take pictures when your child is in their best mood. I took Emma 1 hour before naptime… she threw a massive fit right before we left, laying on the kitchen floor crying because I wouldn’t let her take her shopping cart with us to the park. 2. Take pictures when the lighting is best. I went at high noon- the worst time of the day for lighting! HOWEVER, my disclaimer is that I’m 8 1/2 months pregnant and I had to go when my body would let me. I took 259 pictures (no joke) and I got about 7 that I like. That’s the great thing about digital pictures. Here are some of my favorites. It was not my plan for Bubba, the baby doll, to be in the pictures. However, one thing that Ashley emphasized is that the details are important- Emma carries Bubba with her everywhere so why should he NOT be in the pictures? Love this one… she is so dramatic! This was a great practice session and something tells me I’ll have many more opportunities to practice with my new camera in the near future! 36 weeks Pregnant… almost time for Foster! This picture was taken on Monday, when I was exactly 36 weeks pregnant. 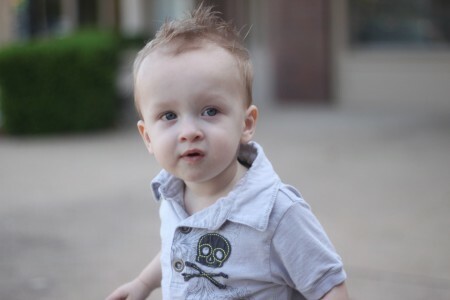 36 weeks is very significant to me… that means that Foster is “term” and as a NICU nurse, “term” is a miracle. :) I’m so grateful and in awe of God that I have been able to carry both of our kids to term. Just last week, we lost twin babies in the NICU- they were born just shy of 23 weeks and they only lived for a day. Life is precious and I do not take it for granted that God allowed us to have 2 healthy pregnancies. We go tomorrow (Thursday) for our first weekly Dr’s appointment. He said that we would talk induction dates at this appointment so I’ll be sure and update. I can’t stand to see pregnant pictures of myself but someday I may want them. I can’t see why, but just maybe! This is also a sneak peak at Foster’s room. I’ll do a full post about his nursery this weekend because it’s finally DONE! Last Saturday we got together with my brother, Kim, Isabella, my mom, and Judy to hang out and watch the OU/TX game. This has been a ROUGH season for the Sooners! I keep telling Emma that OU is the BEST team (besides Baylor) and they keep losing so I think she is very confused. The important thing is that we had fun as a family. We ate chips and queso, mom’s famous chili, and brownies. At half time we carved pumpkins. So despite the loss to TX, it was a good time had by all! Don’t they look like a happy bunch? I love this picture- Robin is rolling his eyes at my brother because my brother is trying to show Robin how carving a pumpkin is “really done.” Male egos at work! We lit the jack-o-lantern that night- Emma loved it! IT’s a kitty cat and moon, can you tell?